New Delhi : The year 2019 will definitely be a high-end tech year for people worldwide. And, the inauguration of extra-ordinary technology has been Meizu Zero, world's first holeless smartphone. The phone features no ports and speaker grilles. Isn't it unique! Meizu with major step in the smartphone design is now trending among smartphone manufacturers. The Meizu Zero is the first smartphone that has no ports and holes in the body. This device with wireless technology looks like a single slab glass and metal. In fact, Meizu states it as the world's first seamless, uninterrupted phone. The Zero has no lines, no ports, not a single interruption in its design. There are no volume or power buttons. Instead, there are capacitive sensors on the edges, like the HTC U12+. These sensors replicate volume buttons and the power button. The Zero has no speakers or grilles. Instead, it relies on piezoelectric transducers and use the screen to transmit audio. The Zero gives up the charging port. 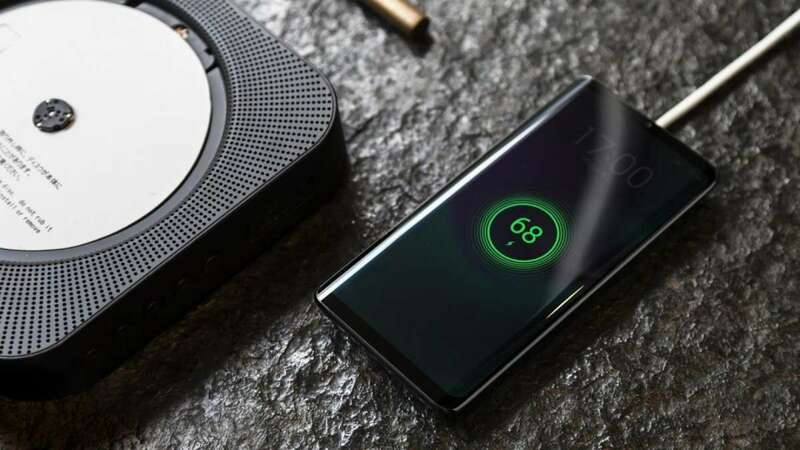 Instead, it relies on wireless charging solely to get the battery juiced up. Meizu has built-in support for 18W fast wireless charging, which is faster than Huawei's 15W wireless charging system. The Zero also skips on SIM card slots. Instead, the Zero relies on eSIM technology. This makes the Meizu Zero only valid for those markets where carriers have support for eSIM connectivity. The Zero achieves a seamless design with help of a ceramic body. Sources confirmed that Zero is a concept device now. It is under development and will take some two more years to be launched in the market.